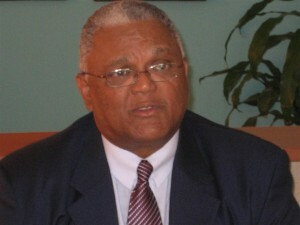 WILLEMSTAD – “It's a shame that the elections that will be held on Friday are under the supervision of the Governor.” This is according to political analyst, Gilbert Cijntje. He wondered how it got so far that the island has to hold elections under the supervision of the Netherlands. Former Interim Prime Minister of Curaçao Stanley Betrian, who served right after the Cabinet-Schotte in 2012, called the actions of the government a shame for the island, but, according to him, there was no other solution. The Kingdom Council of Ministers gave the Governor of Curaçao the authority to supervise a fair course of the Curaçao elections of next Friday. The Netherlands often has a decisive vote in this Council. The evidence came after the current interim government of Prime Minister Gilmar Pisas announced that the elections would be canceled and then to say afterwards that it would continue.